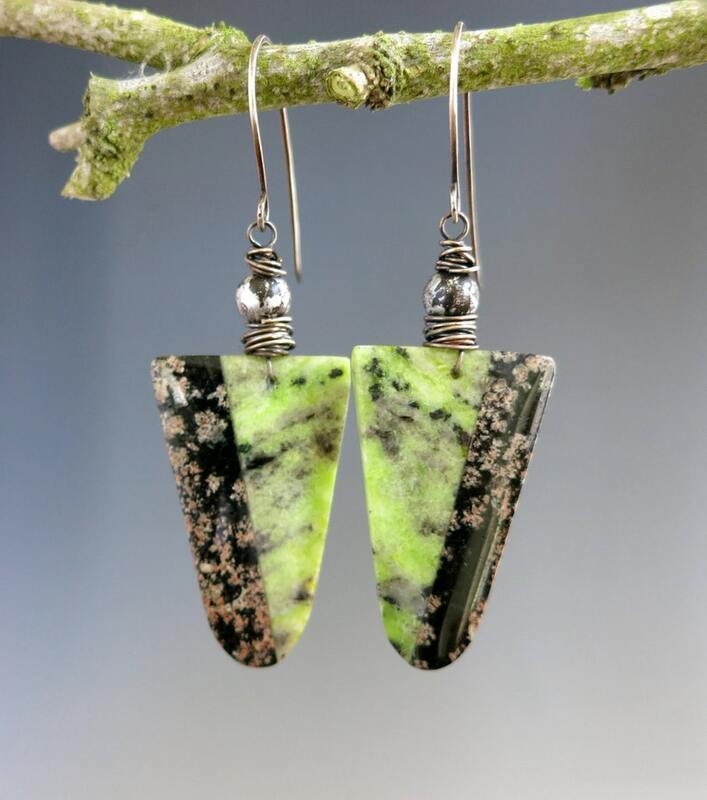 Snowflake Obsidian Earrings, Obsidian & Serpentine Intarsia, Green and Black, Oxidized Sterling Silver, One of Kind Ready to Ship! A stunning pair of intarsia stones - the black is snowflake obsidian and the green is serpentine. Married together in the process called intarsia, they are now one. Cut and polished into a beautiful piece that measures about 7/8" at the widest top point and 1 1/4" in length. Sterling silver wire wraps a black and silver metal bead, then they are hung on my handmade sterling silver earwires. The sterling silver is oxidized and then polished for an antique look. The total drop is 2 5/8". Surprisingly for the size these are not heavy earrings. You get this exact pair of earrings, carefully packaged in a natural brown kraft gift box.